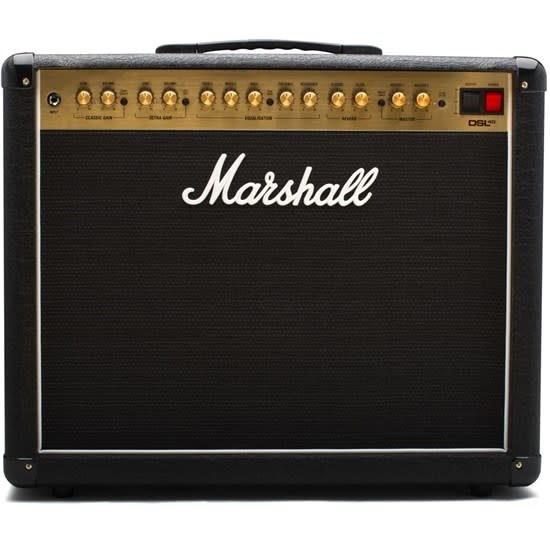 Laden with Marshall tone, features and functionality for the novice, as well as pros performing on the world’s biggest stages. These DSL models feature adjustable power settings, which delivers all-valve tone and feel, at any volume, from bedroom to stage. The new technology adjusts power to the valves, instead of just turning off valve stages, allowing the amp to remain articulate and dynamic. The DSL is now more versatile than ever, with new features including discrete master volume controls for each channel, built-in reverb and resonance controls (the DSL1 and DSL5 do not offer resonance controls).